USB Touchpad, Jelly Comb Multi-Touch Wired Trackpad for Windows 7 and Windows 10 Computer, Notebook, PC, Laptop | Replicafer Co.
Jelly Comb multi-touch wired touchpad, made with ultra-smooth & comfortable touch surface, provide a whole new way to control and interact with what's on your windows computer screen. Let your finger do the clicking, scrolling, swiping and pinching to zoom easily. With large ultra-smooth glass surface and advanced sensor, it provides fast and sensitive response at your fingertips. Low profile touchpad features the ergonomic tilt design, which makes scrolling and swiping through your favorite content more productive and comfortable. Plug and play, no additional driver needed, reliable and stable connection through a micro USB cable, which enables you to use it freely without any connection problem. Compatible with Windows 10, Windows 7 PC, laptop, desktop, computers only. 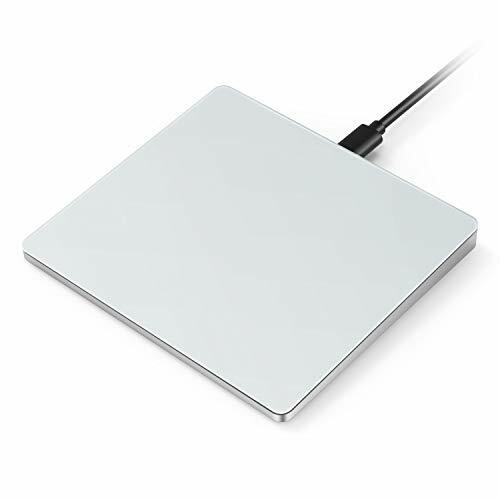 ✔ QUICK & SENSITIVE TRACKING RESPONSE: Large glass top surface with advanced sensor provide an incredible user experience, fast and sensitive response at your fingertips, fluid click on screen, scroll pages up and down, pinch to zoom on photos and more. ✔ EASY TO USE: Support with a full set of gestures, it provides the easy and natural control of your windows computer: click,scroll, drag and swipe through online pages; super comfortable to use with the ultra-smooth surface and ergonomic tilt design. ✔ POWER SUPPLY: The number keypad can start to work once connected, no battery required, don't have to worry about the touch pad will be out of power. ✔ COMPATIBILTY: For Windows 10, Windows 7 PC, laptop, desktop, computers only.